Derek Lim was born and raised in Hong Kong and graduated from the renowned Diocesan’s Boys School. He furthered his studies at University of California, Riverside, majoring in Economics. Passionate to help the immigrant population, the disadvantaged, and the disabled, he attended law school at San Francisco New College of Law. He has practiced law for 20 years, and is a member of the American Immigration Lawyers Association and the American Trial Lawyers Association. For many years, he wrote a weekly column on immigration law for the Sing Tao Daily, the largest and most influential Chinese newspaper in the US. 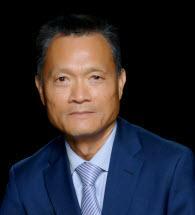 He is also featured on various Chinese Radio stations in northern California as an expert on immigration law. Derek Lim speaks six languages, including English, Cantonese, Mandarin, Chaozhou Dialect, Thai, and Lao. Because of his language proficiency, and his desire to help the immigrant population, Derek Lim focused his practice on immigration law. Over the years he has helped thousands of clients from all around the world obtain U.S. permanent residency and citizenship. Besides immigration law, Derek Lim also specializes in California personal injury law, estate law (drafting wills and trusts) and family law (drafting, review or implementing modifications to prenuptial and post-marital agreements). In Derek's free time he enjoys playing tennis, spending time with family and friends and attending culture events.